+ Pool was good. One Section for Small children and the bigger for teenagers or adults. + Staff were very helpfull and kind. Always helped, when that was needed. Professionals. +Air conditioning was good. + Beds were good for sleep. + All ingredients with good family Holiday. The size of the apartments are really big, each one has a small balcony and also a living room to which a kitchenette is attached. Very suitable for families with children. Besides, you have a market within the facility and also the staff was very kind and helpful. We were very impressed with our accommodation and the staff were all lovely. Staff very friendly. They go out of their way to assist and advise on the sites and location of whatever you are looking for. Apartment cleaned daily. Short walk to the beach. Lovely pool but just a little to cold/fresh but was the end of the season. The location is great, only a 10 minute walk to the beach. 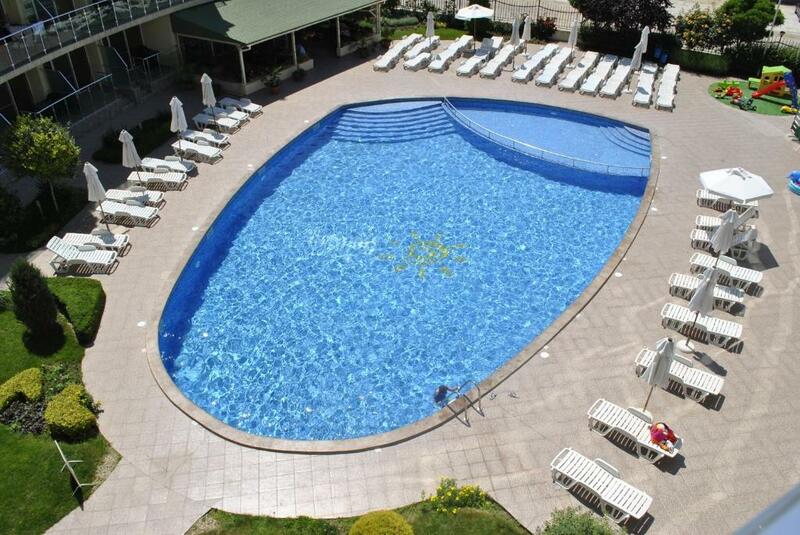 The staff here are very friendly and helpfull, it is a great place to take small children, the pool has a closed off childrens area which our 2 year old daughter loved. I would highly reccomend this place. All staff was very friendly, the apartment was extremely spacious, the pool was in excellent condition (serviced daily) and the sun loungers were plentiful. The apartment had everything you need for self catering ( microwave oven, coffee filter, toaster, electric hob, pans, plates, cutlery, etc ). There is a small restaurant on the premises ( although it's owned by a third party ), however you will find better food 10 minutes away. Lots of shopping centers around ( Aldo - 5 mins walking distance, T-Max 10 - 15 walking distance and a Lidl 10 - 15 minutes by car ). 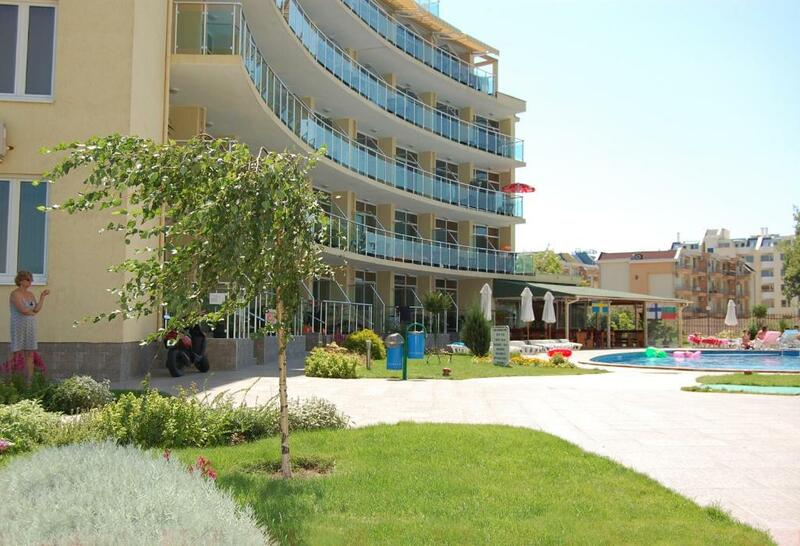 You can get to the center of Sunny Beach in 30 - 40 minutes walking, or 10 minutes by car. Popular beaches ( Bedroom Beach, Cacao Beach, La Cubanita, Oasis are within 10 - 15 minutes walking distance ). The hotel is located on a very silent place at the end of the street, far from any bars and restaurants. The apartment is wide. The host was very pleasant and showed us in details the apartment. There is parking area in the backyard and as well outside both are for free. 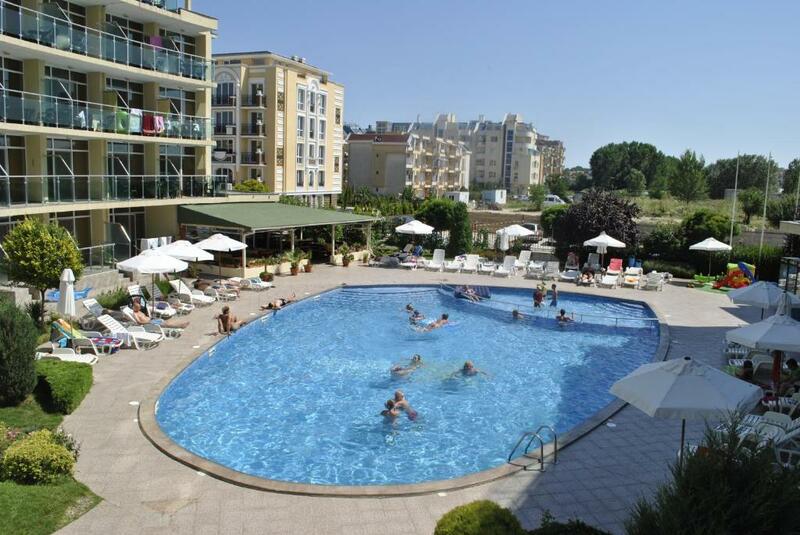 Lock in a great price for Julia Family Apartments – rated 8.8 by recent guests! Julia Family Apartments This rating is a reflection of how the property compares to the industry standard when it comes to price, facilities and services available. It's based on a self-evaluation by the property. Use this rating to help choose your stay! 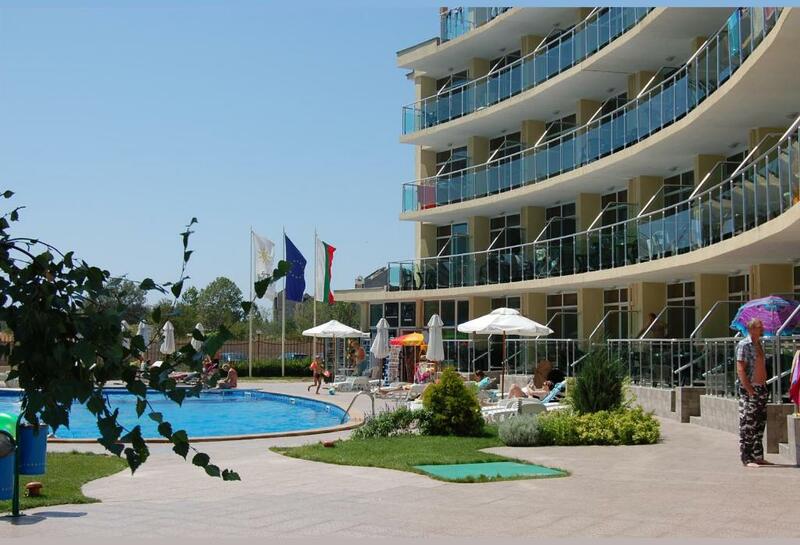 One of our top picks in Sunny Beach.Located in the southern part of Sunny Beach close to the ancient town of Nessebar, a 10-minute walk among restaurants and dunes to the Cacao Beach, Julia Family Apartments offers relaxing vacations. The Julia Apartments is a perfect starting base for biking tours and organized trips to Bourgas, St. Vlas or to Sozopol. Public transportation can take you within 10 minutes to the UNESCO-protected Nessebar, where you can experience the atmosphere of passed centuries. The property is ideally suited for families with young children, groups of friends or mature couples alike. The complex provides a large seasonal swimming pool for adults and children, as well as a playground. 뀐 Located in the top-rated area in Sunny Beach, this property has an excellent location score of 8.5! When would you like to stay at Julia Family Apartments? Located in a quiet back part of the building, this apartment features a living room opening onto a terrace overlooking the pool, a fully equipped kitchen and a living room with a dining area. The apartment features a balcony with pool views, a living room with a dining area and a fully equipped kitchen. This studio features a large terrace overlooking the pool, a living room with a kitchen and a dining area. All apartments are fully equipped and daily cleaned. They have large balconies, equipped with a table and four chairs, overlooking the pool. You can also place for free extra beds for adults, baby cots and highchairs for children. 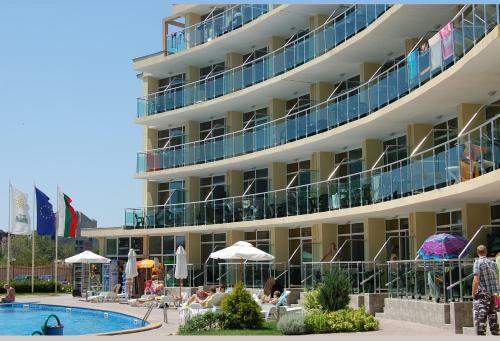 The Apart hotel is located in the southern part of Sunny Beach, just 10 minutes’ walk from the best beach - Cacao beach. Nearby are located many restaurants, amusement parks and supermarket chains, which offer the lowest prices in the area. House Rules Julia Family Apartments takes special requests – add in the next step! Julia Family Apartments accepts these cards and reserves the right to temporarily hold an amount prior to arrival. Please inform Julia Family Apartments of your expected arrival time in advance. You can use the Special Requests box when booking, or contact the property directly using the contact details in your confirmation. Swimming pool is freezing cold. Little bit out of the way. No bar and restaurant. The apartments could have been much cleaner. Also the bathroom smelled really bad every day. The staff was absolutely lovely. The air condition was working but from it there water flowing inside the room and it was a bit dangerous when you walk through. The TV is not modern and there are not really choices of programs. Not clean behind the building (on the premises). Must enter the building from the back. Can improve the image of the property by cleaning the paving at the back areas. Very friendly staff. Pool available at all hours. Near shops and bus route. Guest are slaping the elevator door, it's loud. Separeted living room and bed room, closed parking, nice pool and close to the beach. It's the best fort it's price. Air condition system was to too weak for our apartment. Also it make a big noise at night time. Clean room, friendly staff. Pool was clean and perfect to play in for a child.